What’s it like to be an entrepreneur in Honduras? Being an entrepreneur in Honduras, one of the most violent countries in the world and one of the poorest in Latin America, is no game. 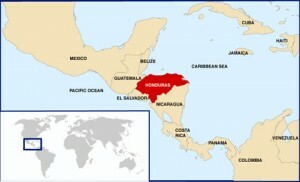 Yet, Honduras is also known for its high quality banana, coffee, and cocoa. Hondurans are hard-working, noble, and talented, but are constantly challenged to survive in the middle of turmoil. Amidst the many difficulties, there is a group of people who are driving innovation and growth, who at times have lost it all, but have managed to stand up again – they are called entrepreneurs. Small and Medium Enterprises (SMEs) play a crucial role in the Honduran economy. According to the “Diagnóstico Sectorial de la Mipyme no Agrícola en Honduras” (Small Business Analysis Institution), there are more than 590,000 established SME’s in Honduras. These SME’s generate more than 1.1 million direct jobs. However, SME’s must strive to survive on a daily basis. First, there is little or no support from the Government. There is excessive bureaucracy, taxes, lack of access to capital and financial innovation, and absence of policies that promote fair market conditions. Plus, there are no rewards for creativity or incentives for SME’s to emerge. In addition, there is no ecosystem that allows entrepreneurs to generate innovative business ideas and to put them into action. If this were not enough, there is also a constant threat on behalf of gang members – they ask for what is called “war tax”, a form of extortion where businesses are required to pay a monthly fee to gangs. However, not everything is bad. Numerous national and international organizations are helping entrepreneurs establish their own businesses. For example, the Chamber of Commerce through its “Honduras Emprende” program is promoting the development of innovative business ideas by utilizing the Business Model Canvas as a powerful strategic management tool. If you want to contribute ideas for “Honduras Emprende”, visit www.ccit.hn/desarrollo-empresarial/honduras-emprende/. Also the Universidad Nacional Autónoma de Honduras (UNAH), one of Honduras’ best universities, through “Proyecto Build”, is encouraging an entrepreneurial culture on campus by educating students to become critical thinkers and entrepreneurs. If you are passionate about educating young entrepreneurs, visit www.build-project.eu. YMCA and Ashoka, through an organization in our capital city, are working with rural entrepreneurs on how they can use natural resources wisely. For more information on the positive impact that these organizations are creating, visit www.ymcahonduras.org/?page_id=959. There are countless examples of entrepreneurs in Honduras who have learned to work with limited resources. These entrepreneurs are producing high quality products and services in diversified markets. Let’s take a look at one of them. Mario is a 37-year old lawyer living in San Pedro Sula who offers legal services in the morning, and works as a tailor in the afternoon. His services are greatly sought after and he is happy with what he does. His story appeared in a national newspaper and is an inspiration and a motivation for many Hondurans that have lost their jobs and/or are passionate about entrepreneurship. Mario comments on the significant role that discipline and willpower play on an entrepreneur, and highlights the importance of looking at crisis as a time of opportunity. Currently, Mario is working hard on his goal of becoming a notary. Against all odds, entrepreneurship in Honduras is an important component in stimulating economic growth, innovation, competitiveness, and poverty alleviation. Those who choose this path are most definitely sparking a new light that gives hope for years to come. Alis is a Social Responsibility Consultant in her family’s auditing and consulting firm, Perdomo y Asociados, S. de R.L. in La Ceiba, Honduras, Central America.